I made three models which will be tiled next to each other in a game. Center Tile, Corner Tile, Edge Tile. My problem is I have trouble positioning them next to each other, I've come to the conclusion the problem is the pivot point. My most left tile, the pivot is directly in the center. But on the other two they are not in the center even though I used "Origin to center of mass" and also Shift-C and "Origin to 3D cursor". I have also tried selecting the top vertices "the green part" and Shift-S "Cursor to selected", its nearly perfect but not quite. 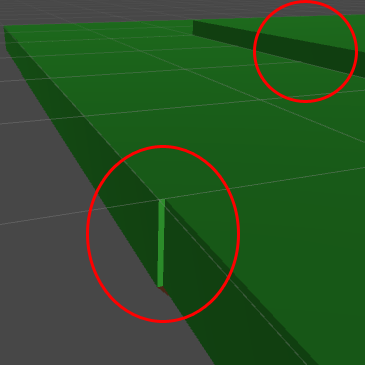 How can I perfectly center the pivot point in the green part in each model? The reason "Origin to Center of Mass" (or "Origin to Geometry") does not work is because your center of mass in not in the same location. The two tiles with dirt, have most of the geometry much lower. To set the origin in the seam place as the your all green first tile requires a 2 step process. In edit mode, select the top 8 vertices of your tile. 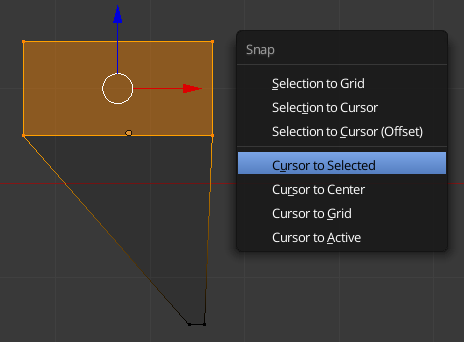 (Note that the pivot point can not be set to "3D Cursor" or "Active Element") Now press ShiftS > Cursor to Selected. That will move the 3D cursor to the location you want as the origin. In object mode press CtlrAltShiftC > Origin to 3D Cursor. Not the answer you're looking for? Browse other questions tagged mesh objects transforms or ask your own question. How can i center axis on the object? How to reset local orientation / frame of reference of object created from array modifier? Why doesn't the road follow the curve? How to reset pivot point? How do I restore the pivot point to the original pivot location?